Is it possible to replace the GPU in this 2006 iMac? Is it possible to replace the GPU in this 2006 iMac? If yes what kind of models fit in there under the cooler? 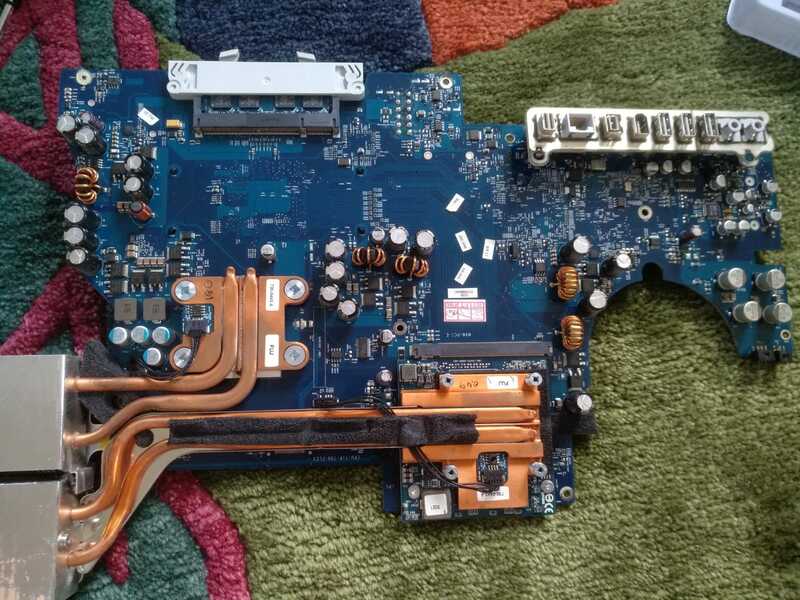 It is not possible to upgrade the GPU on the iMac you described because it is integrated into the Main Logic board (pictured in your post). In theory it might be possible to buy the GPU from another iMac Logic Board that is higher specification, however you'll likely have to buy it with the Logic Board from that computer and so would just be swapping the logic boards. Not the answer you're looking for? Browse other questions tagged imac hardware gpu . Is it possible to install an SSD and/or another hard drive after purchase in a 27" iMac? A1208 2006 Intel iMac Power Supply “Power Good” voltage? iMac 27'' late 2009 with GPU problems gets fixed by reinstalling Mac OS, what can be really happening? Is it normal for the iMac 5K's GPU to be at 90℃ with fan on constantly? Is an external GPU possible for MacBook Air 2012? What the metal feature set of two iMac models on 10.14(Mojave)?